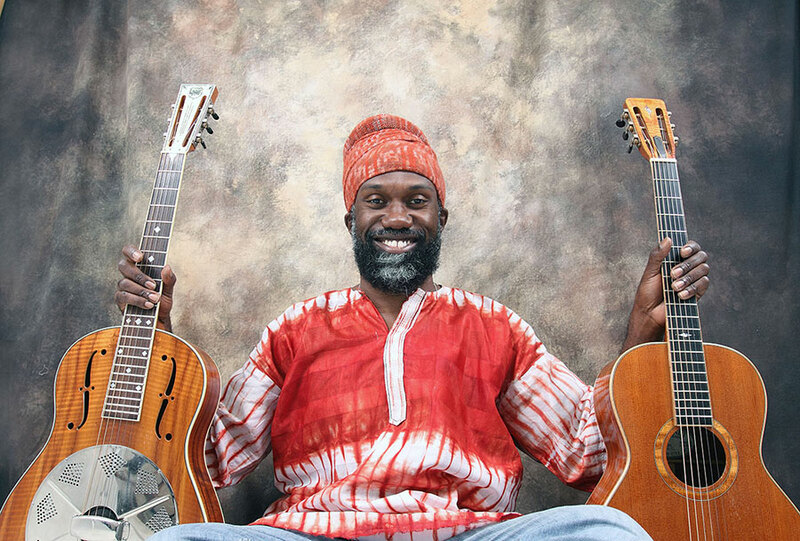 Traditional acoustic Delta blues attracted a host of young performers in the 1990s and early 2000s, but Denver native Corey Harris was credited with revitalizing the breadth of black musical traditions. Harris’s mother had wide-ranging musical tastes, and she encouraged him to listen to her collection of records. He gravitated toward the songs of bluesman Lightnin’ Hopkins. But his first instrument was the trumpet, which he played in the marching band at Isaac Newton Junior High. At Littleton’s Arapahoe High School, Harris played in a rock band, wrote songs and poetry and strummed guitar on the sidewalks of downtown Denver and Boulder. 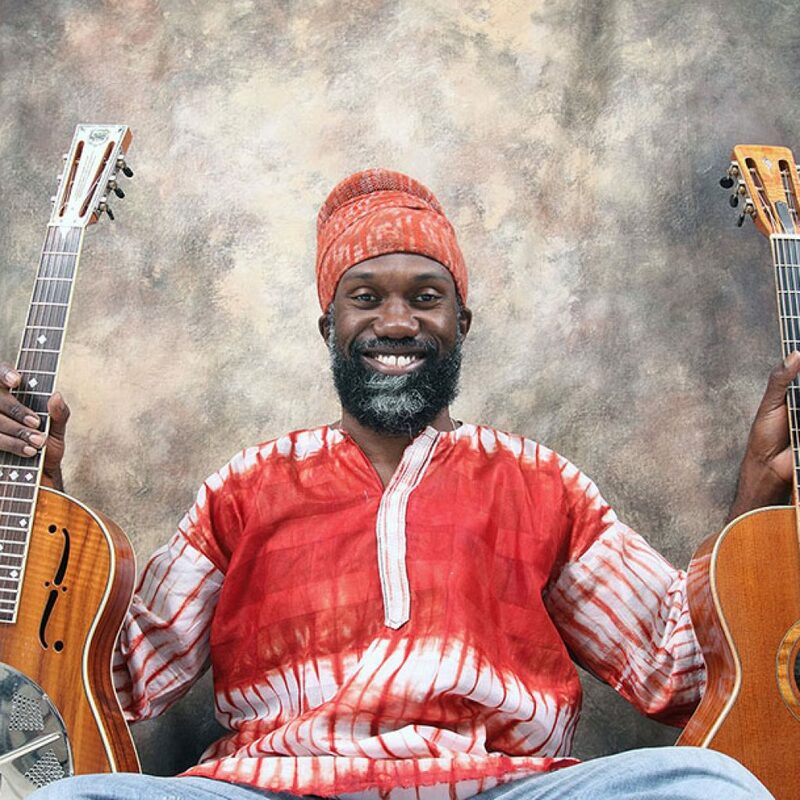 After graduating in 1987, a scholarship took Harris to Bates College in Maine, which led him to post-grad work in Africa, which brought him back to America—and the blues. Harris’s second release, Fish Ain’t Bitin’, won the W.C. Handy Award in 1997 for Best Acoustic Blues Album. Since, his critically acclaimed releases have explored new sounds that incorporate reggae, ska, hip-hop, Latin and country styles. Comfortable in the pop-rock community, he has toured nationally with Dave Matthews Band and Natalie Merchant. In 1998, he was invited to participate in the Billy Bragg/Wilco collaboration Mermaid Avenue, which set a selection of unfinished Woody Guthrie songs to music. “My obligation is to be fresh and to move forward with my material—which is what anyone who ever played music did,” Harris said. “When people like Son House and Charley Patton were playing music, it was really something new. They were singing in part of a blues tradition, but they put a different flip on it. After them, people such as B.B. King or T-Bone Walker played modern electric guitar in their day—and people didn’t like it at first. They got a lot of bad reviews. In 2003, Harris served as the guide in the first episode of Martin Scorsese’s PBS series The Blues.